It is my fourth day here in Bitlanders, so far I can say that I am slowly picking up with how things work in here. Although it is not that really confusing because it's like Facebook and Google+. 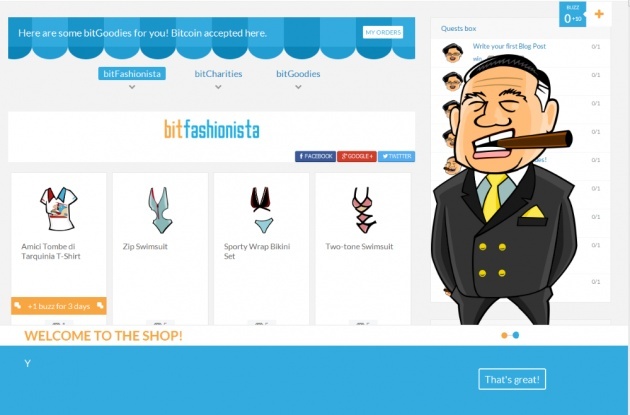 Compared to clicking captcha to earn Bitcoins on faucet sites, I would definitely recommend Bitlanders. Why? 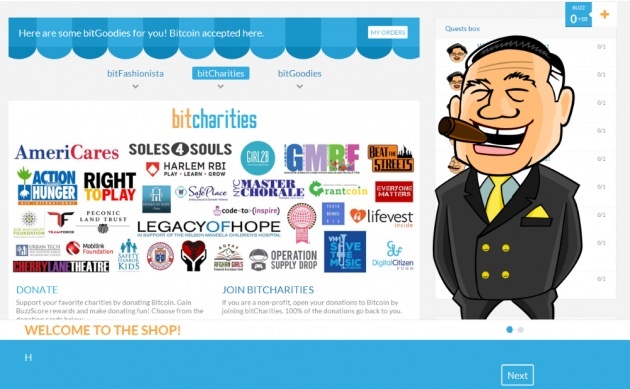 Because earning Bitcoins here are much easier, also it is an interactive community. Another thing that I like about Bitlanders is that there are a lot of Filipino members here. Making you feel at home and using our own language here is also one of the fun parts. 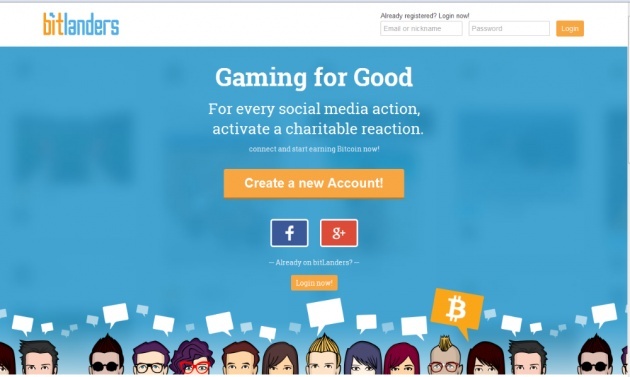 Sign up using your Facebook or Google+ account. On my part I used my Facebook account. 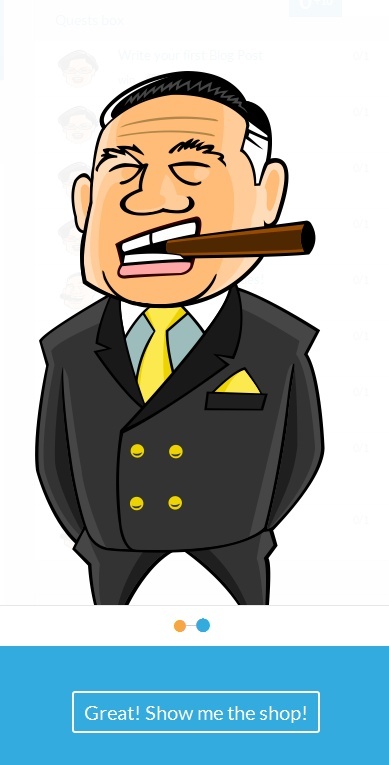 Then @micky-the-slanted-salerno will welcome you and he will tour you around on how to get started. 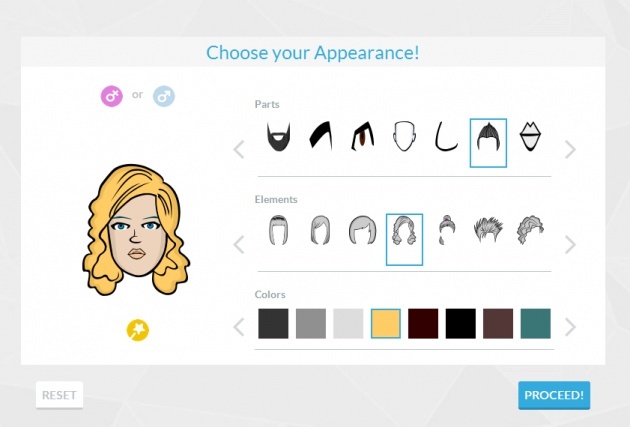 Then you will be asked to create and personalize your avatar. It will be like your profile photo. 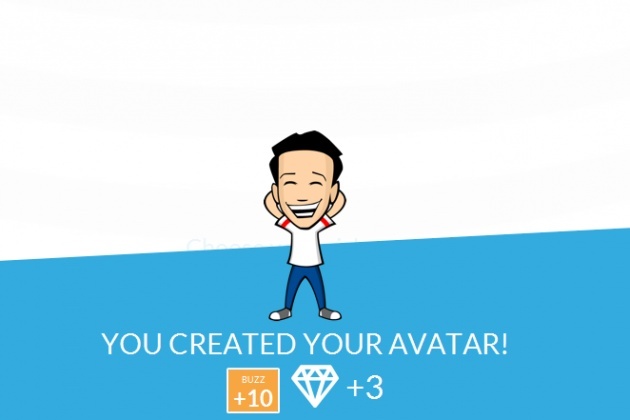 If you are happy with your avatar's appearance, hit "PROCEED!". 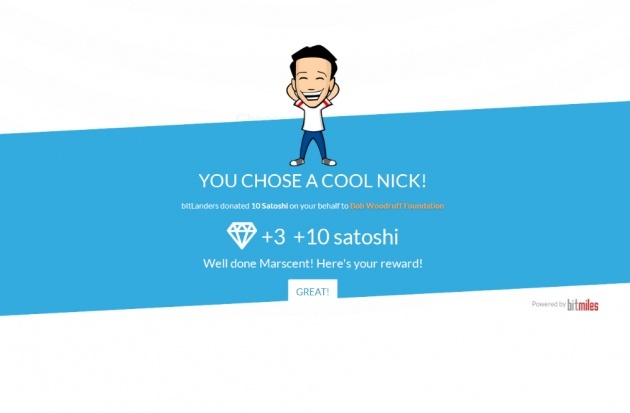 You will be rewarded after you created your avatar. Then you will be asked to select your Nickname or your username and your password. After that you can hit "Save". You will be rewarded once again for completing this stage. Although it was a bit funny because I already create my username "Lucky-star", but I saw the username Marscent on the reward box. Just ignore it anyway (smile). Then click anywhere on the box to continue. 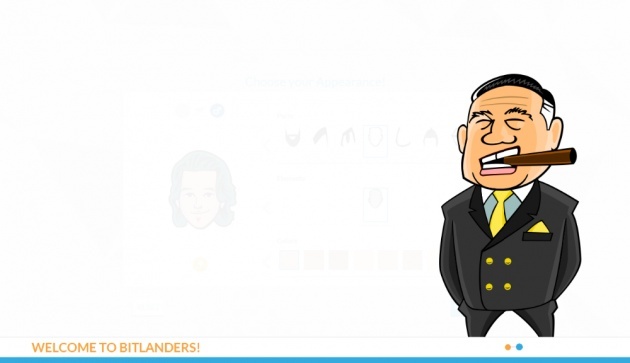 @micky-the-slanted-salerno will start introducing you to the world of Bitlanders and how it works. In the Shop you can buy clothes for your avatar, get cool and fun stickers that you can use when you comment, get gems and donate to charities. 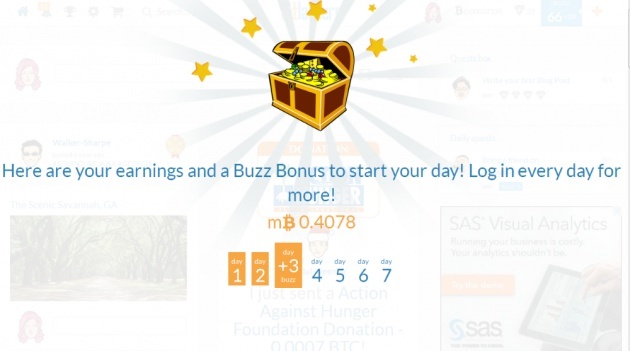 When you buy in exchange you will be rewarded the corresponding Buzz bonus for your chosen item. 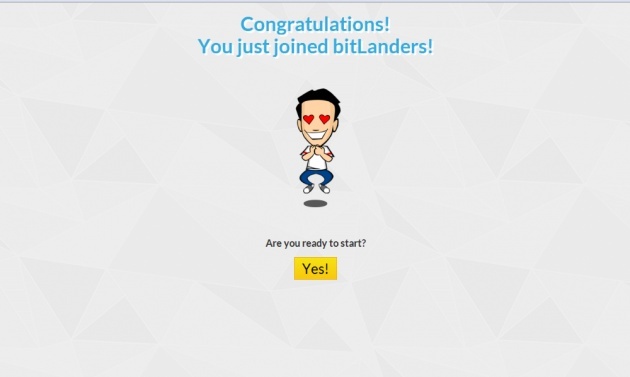 After that you are ready to create your first post on Bitlanders. You can start by introducing yourself or a simple Hi! Will do, just like I did. For starters, you have a "Quests Box" to do and each quests has a corresponding reward, a gem reward. The gems can be used in the "Shop" to buy items and also it can be used in submitting your future post on the "Blog" gallery for review. 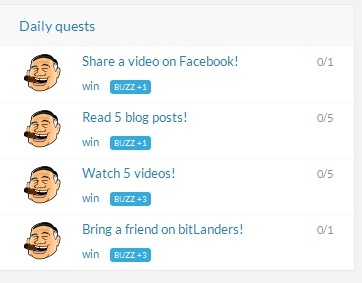 When your blog gets reviewed, you will get a Buzz bonus for it. 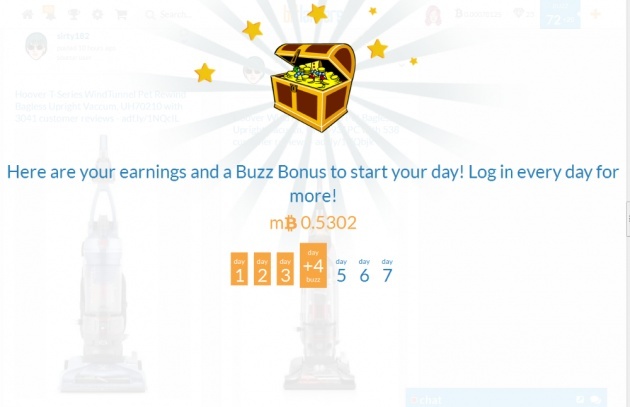 The higher the Buzz bonus the better for your earnings here, you can look at the "Leader Board" on how the Buzz scores have an impact on the earnings of the members here. 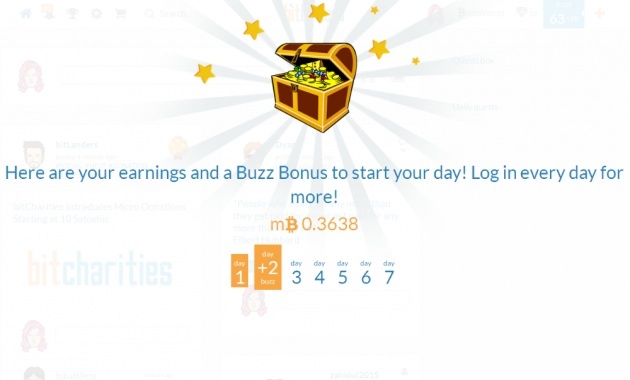 Everyday there is a Daily Quests that you will need to finish for you to be able to get the corresponding reward for each quest. 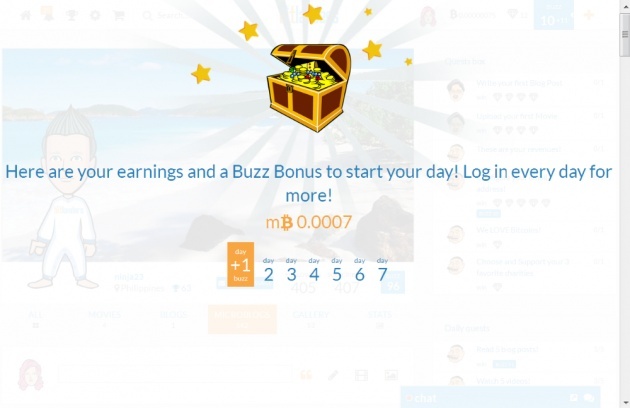 When you login everyday, you will receive your Buzz Bonus for that particular day. 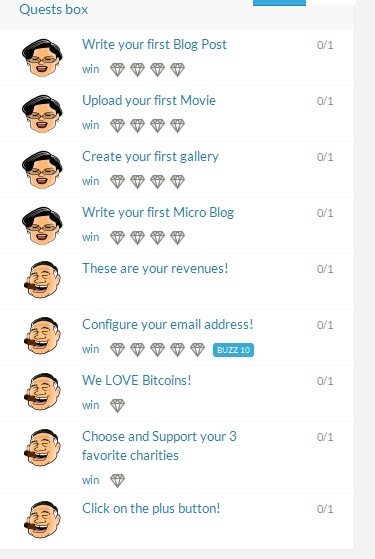 >> I login everyday and make a 10 microblogs. I submit quotes that I searched on Google. >> I subscribe to those whom I see in the homepage or active buzzers who comment on members post. When I see a member that is online during that day I right click the username, then Buzz all his 10 microblogs and give comment to each of them. >> Reciprocate a members effort on your posts are important here in Bitlanders. I always do my part to give back to those who visited my profile. 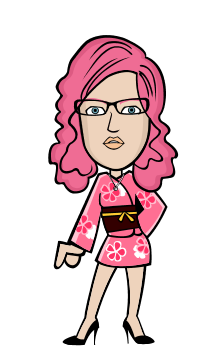 @adgoggleko she is currently the number 1 earner here in Bitlanders (girl power). @ako-eto and @Minato Both have very useful and informative posts to read. That's it for now. I still have lots of things to learn here and need to work in order for me to reach my goal here. I want to say thank you to @sirty who was very kind in responding to my question. I say 5 out of five!!! WHAT ? I DON'T HAVE THOSE QUEST???? WHY YOU HAVE THOSE?